It’s been a long time since I did a Friday Favorites post. Since it is Saturday night and I am closing down one of the hardest weeks I have traversed in many years maybe I should take the time to offer up a few of my new discoveries and favorites. 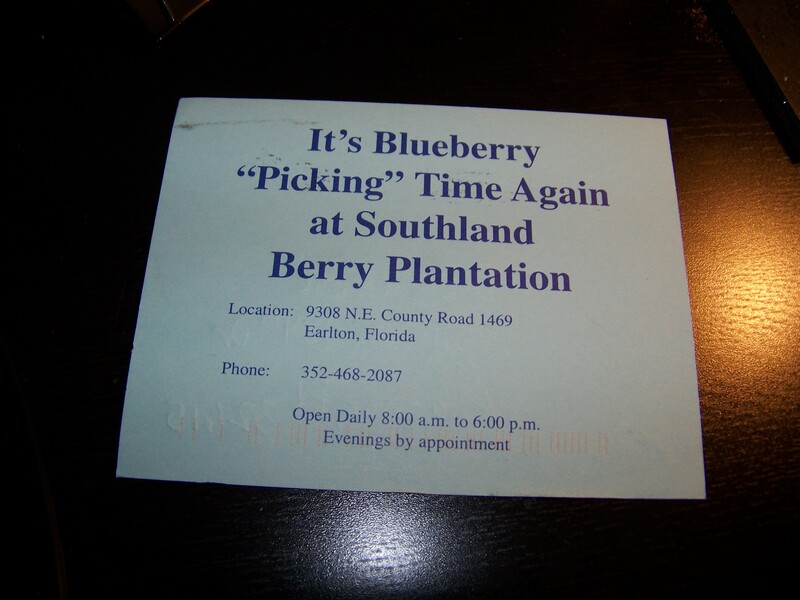 The postcard I filled out last May when I picked blueberries arrived this week. That means Southland’s orchards are ready to pick again. NPR First Listen has delivered two new albums to my liking. The first is Sylvan Esso, which I ended up buying. I am currently listening to Conner Oberst’s (aka bright Eyes) newest album in toto. It is such a delightful things to get a free peep at a full album. I have a strange fascination with Amanda Palmer and she posted something this week about a performance artist named Marina Abramovic, who will be staging a piece at the Serpentine Gallery while we are in London. Seems serendipity that we must go see this artist. I watched a Georgia Organics video and wished I had seen it before my tomato plants had gone wild with growth. Each year I learn something new about the garden. I will make a long single row of tomatoes and use the Florida weave from the first planting. I added a second box to the beehive. The bees are happy and thriving. The queen is laying eggs and the brood is growing. I am reading Sheila Hein and Doug Stone’s book called Thanks for the Feedback. I’ve learned I get very little feedback. I’ve learned a great deal. It is a dense read but I am determined to learn, to keep learning. I love the naughty little secret of Coachfactory.com. I bought myself a new purse. Online. at a 60% reduction from regular retail. I finished the 8th grade altar cloth that the class is giving the church/school as a gift. I hope they use it for the graduation mass. I found the courage to make an appointment with a personal trainer. I have specific fitness goals and I finally admitted that I need a coach. She had to reschedule our initial meeting but I get points for making the appointment. I have started photographing flowers in my gardens again. I think I will have a lovely assortment to make my holiday calendars again this year. It’s been five years since I made the last one. One of our pear trees has four small pears set. We have fruit. Our first fruit. I have managed to do for a few other people those simple kinds of things that I dearly love to be done for me. It’s why I do them. I know how much I would love them if they were done for me. And so I do them for others: a small gift, a surprise, a hand written card, a note tucked in to a homemade lunch, an ironed shirt and cleaned washed sheets.